Miami, Port Canaveral and Port Everglades remain the three largest cruise ports in the world, despite the industry’s global expansion, according to the 2015-2016 Cruise Industry News Annual Report. 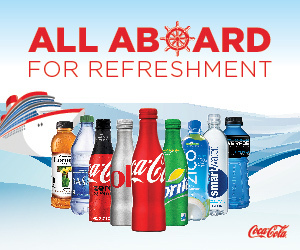 For 2014, Miami reported 4.8 million passengers, Port Canaveral, 3.9 million, and Port Everglades 4.0 million. The other top ports were (in order of traffic): Cozumel, Nassau, Barcelona, Balearic Islands, Civitavecchia, St. Thomas, St. Maarten, Venice, Southampton, Balearic Islands, Grand Cayman, Jamaica, San Juan, Galveston, Marseille, Naples, Shanghai, Sydney (Australia), New Orleans, Piraeus and Savona. Correction: A previous version of this story incorrectly listed Port Everglades passenger traffic at 3.4 million. The Cruise Industry News Annual Report is the only book of its kind, presenting the worldwide cruise industry through 2025 in 350+ pages. Statistics are independently researched. See a preview of last year’s edition by clicking here. The report covers everything from new ships on order to supply-and-demand scenarios from 1987 through 2021+. 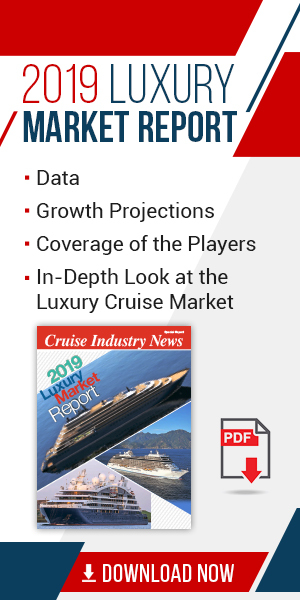 Plus there is a future outlook, complete growth projections for each cruise line, regional market reports, and detailed ship deployment by region and market, covering all the cruise lines. Order the 2015-2016 edition today.